The CCH is big. Really big. You just won't believe how vastly hugely mind-bogglingly big it is. I mean, you may think it's a long way down the road to the chemist, but that's just peanuts compared to the CCH. Most people are overwhelmed with the place thats why we need maps. We are going to hand out maps and travel thought space. If you can`t find us, go to the Main entrance were we are probably going to meet first. 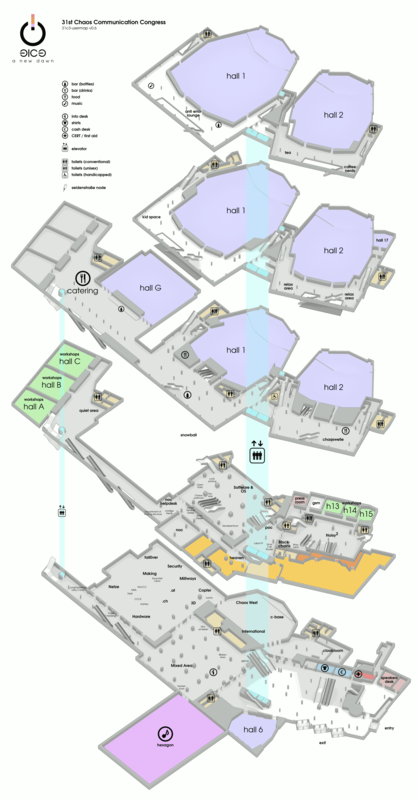 Der CCH ist als location Ideal um sich zu verirren wir haben vor Karten zu verteilen und das Congress Center zu erkunden. Wir treffen uns am Eingang.